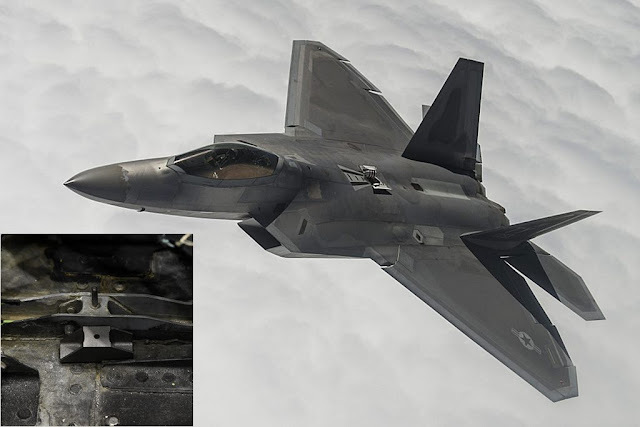 First metallic 3D printed part installed on F-22. In December 2018, the 574th Aircraft Maintenance Squadron at Hill Air Force Base, Utah, installed a 3D printed metal part on an operational F-22 Raptor during depot maintenance. The use of 3D printing is becoming increasingly common in the USAF' supply chain for fifth generation aircraft. This technology has already been extensively tested by the USAF for legacy aircraft requiring parts that may be out of production due to manufacturing obsolescence.